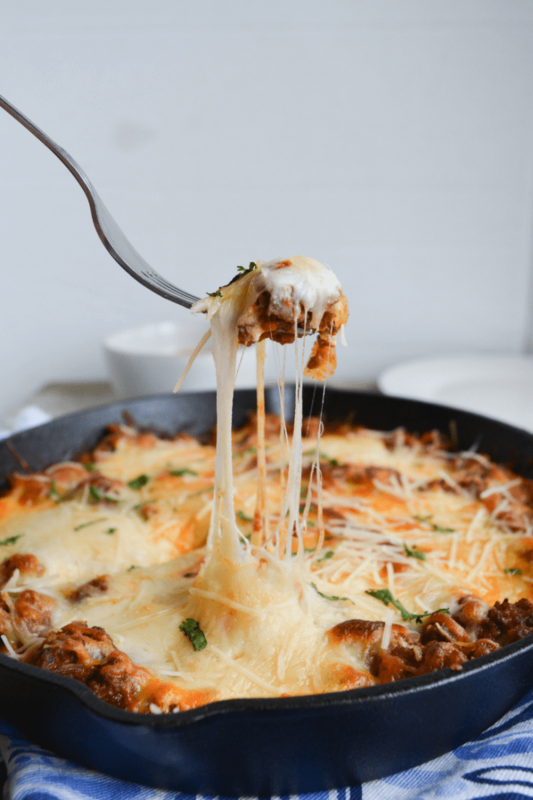 Home keto EASY KETO LASAGNA BAKE | DITCH THE NOODLES! 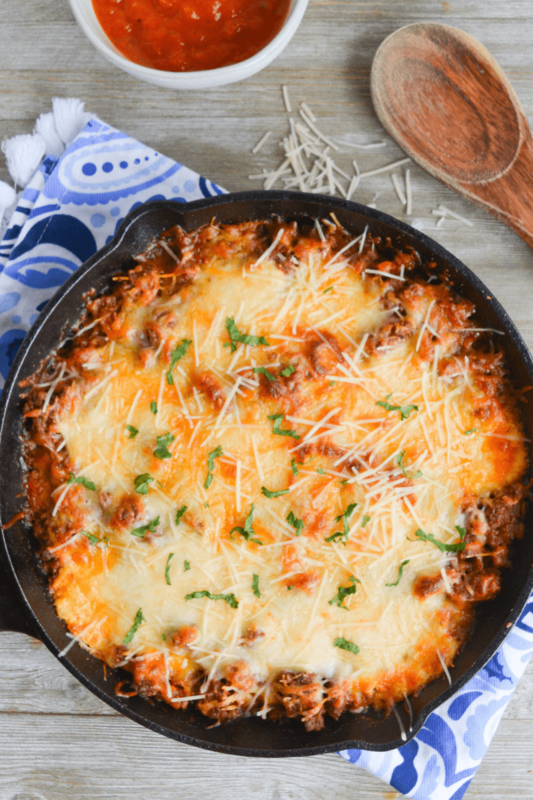 This Keto Lasagna Bake ditches the noodles, and it’s so simple, you’ll wonder why you didn’t try it sooner. Sometimes simple is best, and that’s exactly what this recipe is! When I think about my favorite things about lasagna, of course my mind wanders to the gooey mozzarella, the creamy ricotta, the savory marinara and the perfectly seasoned meat. We all know what’s missing from my list…the noodles, of course. But that’s my point with this recipe…the rest of the ingredients are so overwhelmingly delicious, it’s easy to forget the noodles completely. So why not create an easy, low carb lasagna recipe that’s so good you won’t feel like you’re missing the noodles? Sometimes noodle replacements are a really good idea, like in my Low Carb Taco Cabbage Skillet or my Keto Cheeseburger Helper recipes. The cabbage is a nutritious addition that adds a nice texture. Same with my Easy Keto Lasagna, a white sauce lasagna that uses cauliflower as the “noodle” layer. It’s a bit time intensive, but it is yummy! But sometimes it’s easier to ditch the noodles for an equally filling meal that eats more like a casserole. Note: If you just can’t ditch the noodles, definitely check out this recipe for low carb lasagna, it’s really delicious! WHAT INGREDIENTS DO I NEED FOR A KETO LASAGNA BAKE? Turn off the heat and spread the meat around the pan until it’s an even layer. Place spoonfuls of the cheese mixture around the pan, pushing them down a bit with your spoon to the bottom of the pan.